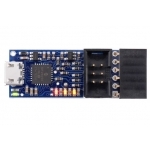 This in-system programmer can be used to program AVR microcontrollers and AVR-based controller boards. 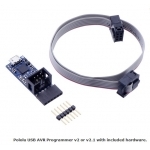 The programmer emulates an STK500 on a virtual serial port, making it compatible with standard AVR programming software, and it supports devices running at either 3.3 V or 5 V. The programmer also features a TTL-level serial port, enabling general-purpose serial communication for debugging or programming microcontrollers with a serial bootloader. 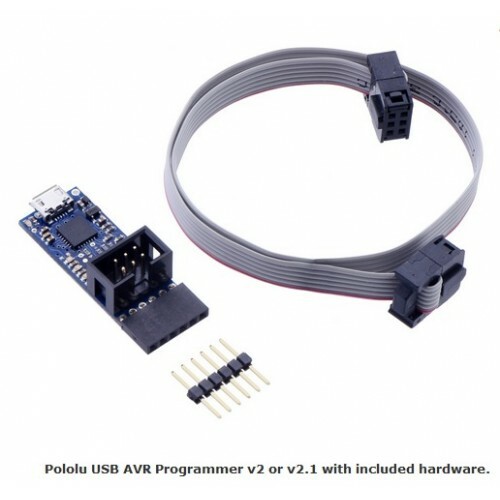 An ISP cable and a 1×6 double-sided male header are included with this fully-assembled programmer. 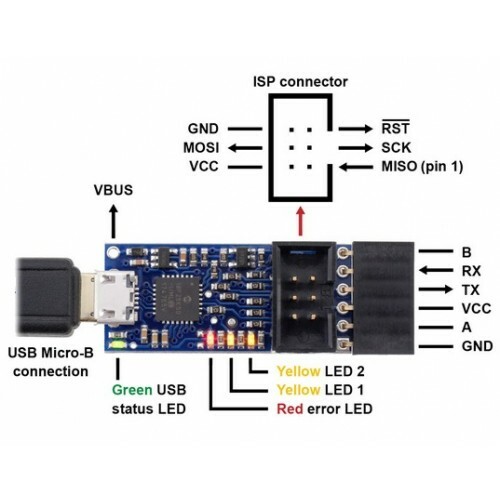 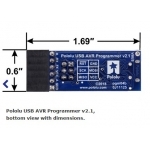 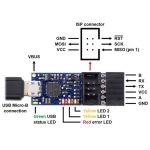 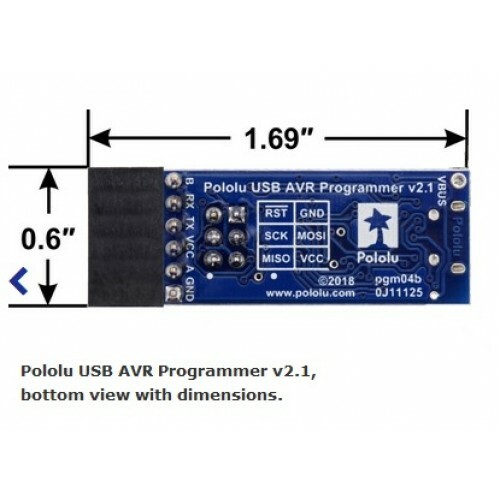 The Pololu USB AVR Programmer v2.1 is a drop-in replacement for the older Pololu USB AVR Programmer v2 with several hardware improvements that are described in the “Comparison to previous AVR programmers” section below. 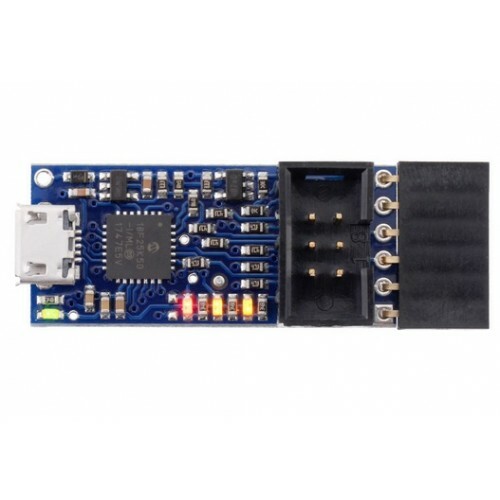 The optional VCC output feature of the v2 programmer (which allows you to power your AVR target from the programmer) was not designed to power loads with more than a few microfarads of capacitance. 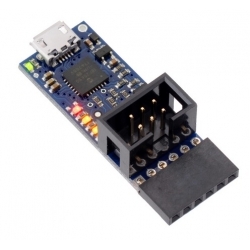 The v2.1 programmer has better VCC output circuity, so it can power higher-capacitance boards that would have caused the v2 programmer to continually experience brown-out resets. While there is still a limit to how much capacitance it can handle, we expect the v2.1 VCC output feature to work with most small AVR target boards that have less than about 33 µF of capacitance on VCC.